Harajuku's trendy little shops, weird boutiques, all-you-can-eat sweets and bizarre cafés are hardly a secret, but it can be tough to know where to start. 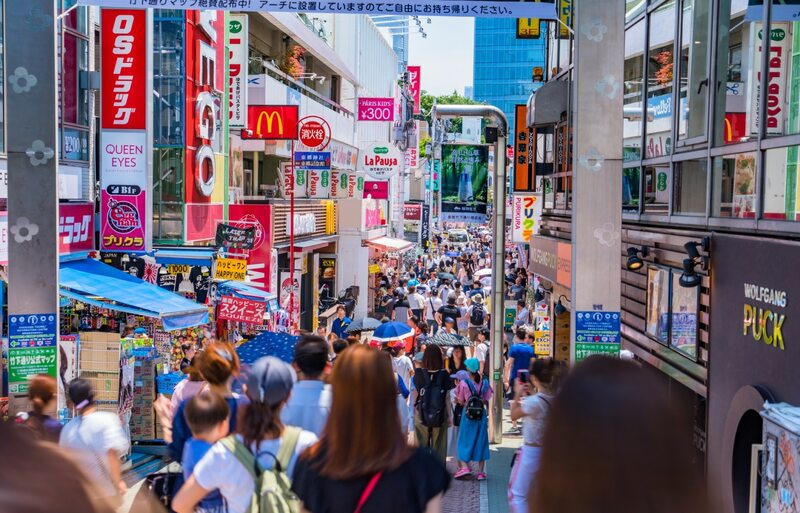 Fortunately, our friends at Trip101 are here to provide a crash course of 10 must-visit places to check out in this quintessential Tokyo neighborhood! 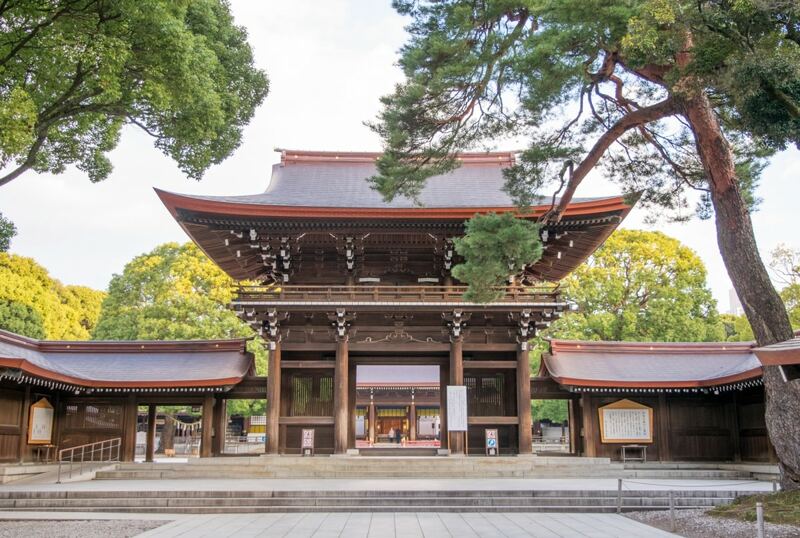 Meiji Jingu Shrine may not need an introduction, but it's definitely a must-visit! Dedicated to the Meiji Emperor and Empress, 100,000 trees from around the country were donated to the shrine in an effort to bring some greenery to the area. Since then, the trees have expanded to an area of 700,000 square meters, becoming an oasis of green in the middle of the city! Guests are encouraged to put money in the water for good luck, but it should be noted that you are not to throw the money and create a splash and that you should place it gently in the water. Meiji Jingu Shrine is also a popular destination for New Years celebrations, as well as a popular place for weddings and couples for bringing in good luck. A store that celebrated its 10th anniversary in 2016, 37 Roast Beef is the sister store of 37 Steakhouse and Bar—if you’re familiar with that restaurant then you know you’re in for something delicious. As a proud New York-style steakhouse, 37 Roast Beef serves some of the best steaks and—unsurprisingly—roast beef in the area. The meat is so tender that you’ll barely even need to use your fork! For those of you who are looking for a little western-style cuisine, you won’t be disappointed in 37 Roast Beef. Appetizers like the classic Caesar salad are a great way to satisfy your hunger while you wait for that tasty roast beef dinner. When your roast beef is finished, the waiter will bring the whole thing over on a cart and carve it right in front of you. Guests can then request their beef cut in one of four ways. “Thin cut” is about 100 grams (or 3.5 oz), “Omotesando Cut” is about 200 grams (or 7 oz), “37 RB special cut” is 300 grams (or 10 oz) and finally, the “New York” cut is 400 grams (a whopping 14 oz). 37 Roast Beef also caters to the lunchtime crowd, offering a different menu that includes burgers and beef curry specials. So depending on what time you go, you’ll get a different menu. Harajuku isn’t all candy shops and sundry stores. There are a lot of green spaces nearby, as well as shrines and other cultural landmarks. Step away from the loud bustling streets and visit Togo Shrine, where you will have time for some quiet inner reflection and prayer. Togo Shrine is a famous spot for people praying to the god of victory. Athletes, sports clubs and even businessmen come here to say a prayer so that they can win at their particular endeavors. The story goes that the shrine is dedicated to the General of the Navy, Marshall Togo Heihachiro, who won a decisive naval victory against the Russians during the Russo-Japanese War. Japanese soccer star Keisuke Honda came here before going abroad, and many job hunters come here as well. REISSUE opened its doors in March, 2013, and has been a staple in Harajuku ever since. In a neighborhood where there are lots of things happening, where people can get sensory overload, it’s nice to step aside, grab a coffee and just chill out for a bit. That’s why we recommend REISSUE. REISSUE is, at its heart, a café, but with the classic Harajuku-style kawaii twist! You can enjoy a latte with a character made of foam by the hand of some serious latte artists. The store and its artists share their creations on Instagram and Twitter, and it really is super impressive to see creations ranging from cute little kitties to iconic works of Japanese art—all in latte form. REISSUE also serves food, which makes it a great place to stop for lunch or for a little pick-me-up snack. Glaciel opened in 2013, and is one of the best spots in town to get some dessert. Be sure to bring your camera, because you’re going to want to take some pictures of their delicate, adorable confections and creations! The first floor is where many of the desserts are, like freshly made ice cream scooped to order right in front you! The idea is to blend the sweetness of ice cream and the cold sensation with classic pastries that we all know and love. But if you’re not into sweets, head to the second floor and go to the café Salon de Te, where you can have some entrees and coffee, or snack on some fresh fruit. Why eat somewhere normal when you can eat at the Kawaii Monster Café? This place is practically guaranteed to overflow the senses with its super saturated, ultra colorful design and decor. Once you enter, a "monster girl" will guide you to one of the five zones: Baby, Dolly, Candy, Nasty and Crazy, respectively. Naturally, each room has a different motif and design, each more wild and wacky than the last. It should come as no surprise that the food is just as colorful, and the performances are unlike anything else you'll see. To see the rest of this exciting list, read the full article from our friends at Trip101 via the link below!